Are you still trying to figure out what to get that person who has everything this Christmas? A family history gift-certificate is a personal and memorable present for that special someone. It is unique to the person you give it to and their family. This year, give your loved one the gift of working with the experts who discovered Obama and Tom Cruise’s Irish family history, Click on the image to purchase yours today. Eneclann’s own Fiona Fitzsimons made the September edition of the APG Quarterly – “TheProfessional’s Voice.”The APG Quarterly is a journal for those interested in professionalism. 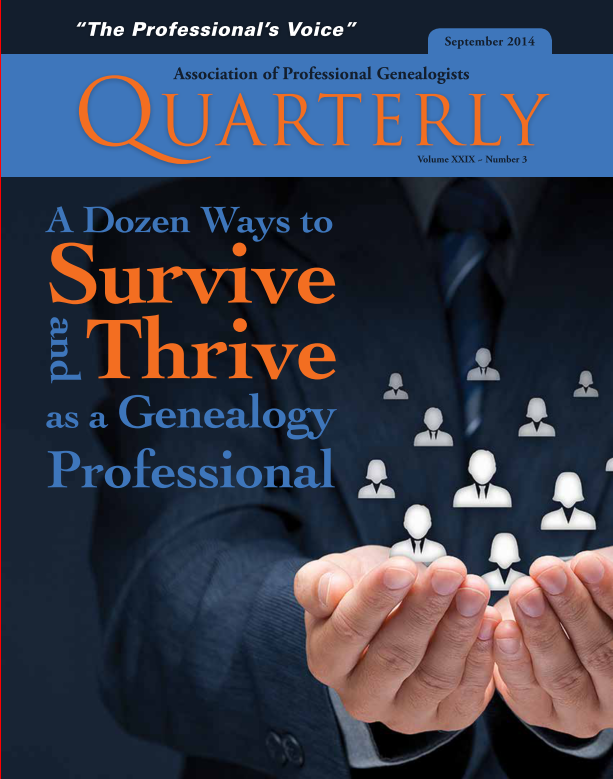 It’s one of the many benefits you receive on joining the Association of Professional Genealogists. Click on the image to learn more. Eneclann Winter Sale. On December 26th,Just when you think you have received all your Christmas presents, Eneclann will be offering you the best one yet, In the form of our BIG WINTER SALE! and the best part is you don’t even have to leave your couch to receive it, because we all know how hard that is after a day of indulging 😉 So don’t forget to save the date and get ready for 50% OFF all publications, More info to come nearer the sale. 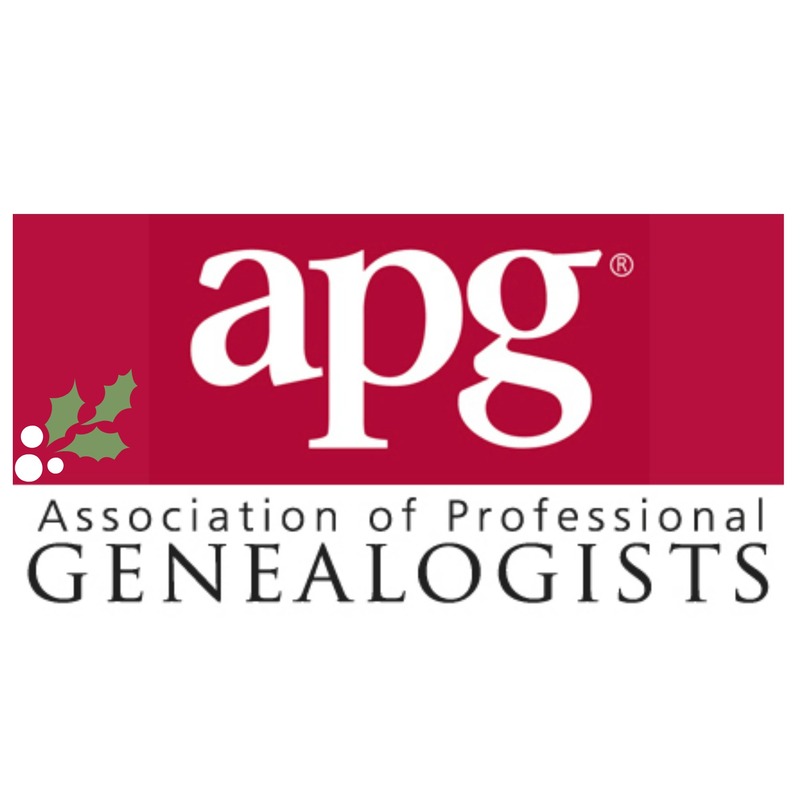 Refresh your professional skills with the Association of Professional Genealogists (APG) Professional Management Conference, this January 2015. With individual sessions beginning at just $20, a special $45 DNA bundle, or access to the full virtual conference for $145, Virtual PMC is a gift that fits every budget. Let your friends and family know which classes you want to attend,read more here. Are you a little lost on what gift to get that History lover in your life? 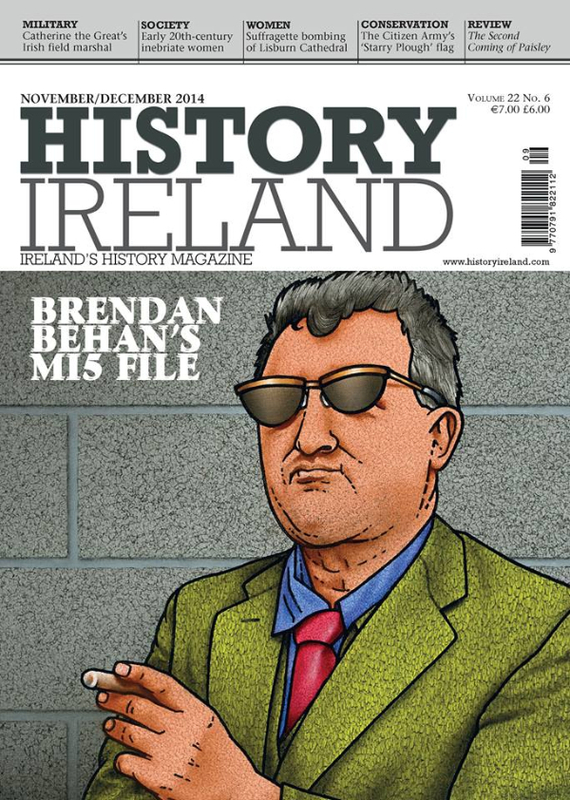 How about a subscription to History Ireland, Ireland’s best History Magazine.Remember someone special and give 12 months of fascinating, lively and compelling discussion, reflection and insight into matters of our past that remain significant for today.Check out the,full details here. We still have some of our ‘little folk’ looking for new homes this Christmas, The parents of St.Laurence’s National School in Chapelizod, want to find homes for the ‘Sidhe na Nollaig’ – Christmas Fairies. Help an Irish fairy find a new home this Christmas! All proceeds go to St. Laurence’s National School.Click here to purchase. Findmypast are delighted to announce the launch of their first ever Christmas Countdown! They have lined up a host of festive treats, from history quizzes and prize draws to guest columns, historical recipes, and expert family history tips. Click on the image to check it out. You could light the Christmas lights along Grafton Street with the energy and verve of our good friend and colleague Lorna Moloney! Tune in to the most recent episode of “The Genealogy Radio Show”, broadcast on Community Radio Corca Baiscinn,Listen here to Episode 14,WW1 soldiers with Marian Furlong and Ann Marie Coghlan. Don’t leave it too late! Have you been meaning to purchase some online publications with Eneclann before Christmas, to keep you entertained over the holidays? Perhaps you intended to buy a loved one a consultation with an Eneclann expert? Click on the image to find out more on the last delivery dates. This entry was posted in Newsletters and tagged APG Quarterly, christmas gift, EII Scheme, Eneclann investment, Eneclann newsletter, Eneclann Sale, Family History gift certificates, findmypast, Genealogy, Genealogy radio show, gift certs, gift idea's, History gifts, investment 2014, Irish Family History Magazine, Irish gifts, Research tip of the week., Tax investment, unique gifts.